Elderflower, a delicious tea that is becoming increasingly popular in the West, has long been used in traditional or folk German medicine. Popular as an anti-flu homeopathic remedy, the elderflower is also a powerful antioxidant that fights premature aging. Rich in vitamin C, a cup of tea each day truly can keep the doctor at bay. The elderflower plant or European elder is a small tree that is native to specific areas in Europe. The tree produces highly fragrant flowers and berries, which are typically dark and fairly sour. The elder tree is deciduous and can live for up to 60 years. The scientific name for this tree is Sambacus nigra, belonging to the Adoxaceae family. What is Elderflower Tea Good For? Depending what condition a person uses elderflower for, the dosage may vary or how the tea is used may change. For instance, treating red allergy eyes is done with elderflower drops or by placing two cooled tea bags on the eyes. Elderflower tea offers a light clean taste that is best described as a cup of summertime. The flavor and aroma are crisp and clean, with a slightly sweet flavor that can go unnoticed by those accustomed to sugar-laden beverages. Elderflower is a fragrant tea, yet not overwhelming or pungent like many stronger florals. Many teas and flavors pair well with elderflower including pink grapefruit, blueberry, apple, peppermint and cinnamon. Wild sorrel is a favorite pairing among many tea enthusiasts, along with other floral teas such as rose hips and hibiscus. When pairing other teas with elderflower, simply remember that it has a fairly light taste and can become overwhelmed by strong flavors. Typically, just a nip or splash of other flavoring is sufficient. Like many natural or homeopathic remedies, little scientific evidence exists to support the use of elderflower for medicinal cures. However, centuries of tried and true folk medicine provide “hands on” proof of the benefits elderflower provides, along with some fairly recent and promising studies. Anti-inflammatory action – Elderflower is thought to help prevent and treat conditions caused by inflammation. This includes arthritis, reportedly due to the prescence of flavonoids and triterpenes found in the flower. Diaphoretic properties – The Commission E recently approved the use of elderflower for colds, including those that are accompanied by fever. Anti-viral action – Also touted as an anti-viral, elderflower is used to fight infections. 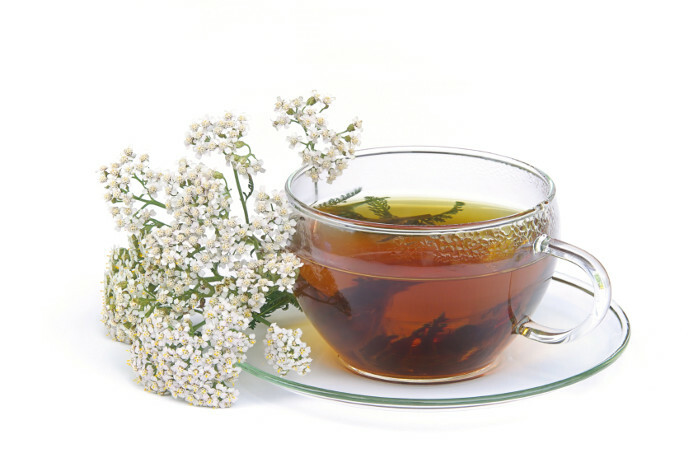 In the United States, elderflower is commonly combined with peppermint and yarrow in medicinal teas. Diuretic properties – In-vitro testing has shown that elderflower is a powerful diuretic, according to the American Botanical Council. This aids in condtions such as weight loss, congestive heart failure and other conditions that cause water retention. Anti-allergen action – Elderflower is also a powerful anti-allergen. It is found in many homeopathic eye drops and allergy relief teas. According to WebMD, elderflower helps in the treatment of inflamed nasal passages. Rich in vitamin C, elderflower protects your skin, heart, ligaments and protects against diseases like cancer. According to the Journal of Agriculture and Food Chemistry, elderflowr is also high of alkanes, flavanoids, potassium and phenolic compounds, making it rich in antioxidant activity, helping protect the body from free radicals and oxidative stress. Are There Any Side Effects from Elderflower Tea? Excessive Intake or Wild Harvesting – Consuming amounts of elderflower higher than those found in foods can result overdose. Some parts of the elderflower contain a cyanide-like substance, although cooking removes this. However, when harvesting elderflower from the wild, be sure of the species and what part of the flower is used. It is best to drink elderflower tea that is purchased from a tea manufacturer, unless you are an herbalist with extensive knowledge. Pregnancy and Breastfeeding – Not enough scientific information exists to know whether elderflower is safe for pregnant or breastfeeding women. Therefore, it is best to avoid elderflower tea if you are pregnant or breastfeeding an infant. Surgical Procedures – Elderflower lowers blood sugar, interfering with the safety of surgical procedures. Always stop using elderflower in any form at least two weeks before surgery for your health, states WebMD. Diabetics – Because elderflower can lower blood sugar levels, those who take diabetes medication and drink elderflower tea can inadvertantly lower their blood sugar too much. This can be very dangerous. Speak to your doctor before drinking elderflower tea for your health. In some cases, you may be able to use medication and tea, if medication can be lowered safely with the supervision of a physician. Medications – To date, only medications used for diabetes interact negatively with elderflower. This includes glimepiride, insulin, glyburide, pioglitazone and chlorpropamide, among others. The American Botanical Council recommends 10 to 15 grams per day, three to five times daily of the whole flower. As an herbal infusion or tea, 3 to 4 grams in 150 milliliters of water may be taken safely, per day. To make elderflower tea, use two to four flowers in a teapot. Pour boiling water to the fill line and let steep for a minimum of 10 minutes. Strain and enjoy. Dried elderflower or premade tea bags are also available. Elderflower tea is typically sold only in specialty tea shops or health food stores. However, you can find elderflower tea online from tea gurus such as Alvita, The Republic of Tea, Traditional Medicinals and Tea Haven. Even Celestial Seasonings offers an elderflower tea with lemon – quite tasty. Those who are susceptible to allergies can most often benefit from a daily dose of elderflower tea, providing they are not allergic to the tea itself. As a natural diuretic, elderflower tea is great for anyone who suffers with constipation issues or excess fluid buildup. 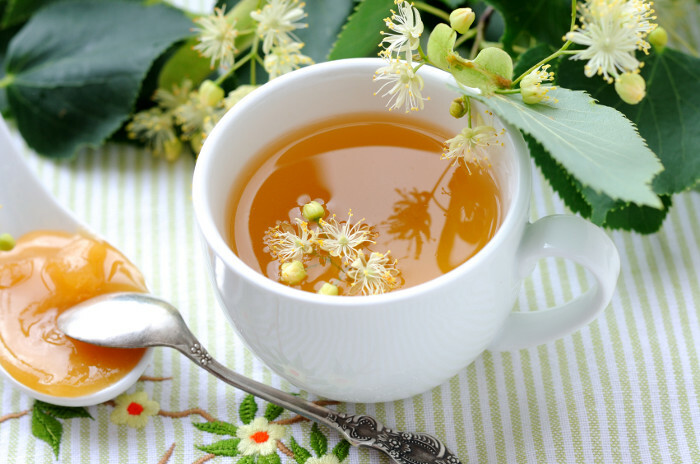 Additionally, people who want to slim down, have arthritis or swelling, inflammation or bronchitis will find that elderflower tea is the perfect choice. There are very few negative aspects when it comes to elderflower tea. It is considered safe for most people and is highly fragrant, healthy and tasty. Elderflower is among our top picks for warm weather teas, although it is wonderful as a relaxant right before bed during winter months (just remember it is a diuretic, so don’t go crazy). Elderflower is also a fabulous tea for keeping colds and the flu at bay during cold and flu season, putting it in the ranks of the ever popular Echinacea tea. In ancient times, it was believed that burning the wood of the elder would make one see the devil. Planting an elder by your home was thought to keep the devil away. Wild elder trees are typically found close to rabbit warrens. Many urban chefs are now using elderflower in dishes.